Abstract: In this month’s column, Kerry discusses the media output on items of Michael Jackson auctioned possessions, and how these get distorted to create confusion. What happened to the truth, do we still care, she asks? Column by Kerry Hennigan, editor of the monthly newsletter, A Candle for Michael, and administrator of the widely-subscribed Facebook group, Michael Jackson’s Short Film ‘Ghosts. Hennigan, Kerry. 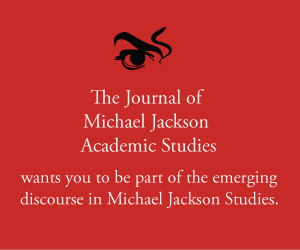 “MJ Studies Today XXVIIII (14-05-2018).” The Journal of Michael Jackson Academic Studies 5, no. 4 (2018). http://michaeljacksonstudies.org/mj-studies-today-xxviiii/. Photo montage “Trains, Trains, Trains” compiled by Kerry Hennigan from a photograph by Hamid Moslehi (left) and a photo sourced from GWS Auctions Inc. (right). No copyright infringement is intended in this not-for-profit, educational exercise. When a toy train Michael Jackson had purchased for his children was offered for auction recently, the story was quickly picked up by various blogs and entertainment columns around the world. “Neverland train up for sale” was a common heading for these stories, which were often accompanied by a photo of Michael with his son Prince sitting on the small ride-on train that he had installed on his ranch. However, the train in that photo was notthe train up for auction. The one on which Michael is seen riding in the Hamid Moslehi photograph was the 610-mm narrow gauge railway pulled by an engine named “C.P. Huntington” (being a small replica of the first locomotive purchased by the Southern Pacific Railroad in 1871). There was another (larger) Neverland train which was a 914 mm gauge model pulled by the steam locomotive named “Katherine” after Michael’s mother. The latter was the same size as the steam trains at Disneyland. The train up for auction earlier this year was an electric train set, custom-built in Germany, according to the initial Bloomberg news item, which Michael purchased for his children to ride. In other words, it’s a toy. “It went around a tree,” says Brigitte Kruse, owner of GWS Auctions Inc. in Agoura Hills, northwest of Los Angeles. “I’d say there are about 40 feet of track,” on which the train and its four cars would run round in circles. Each car fits two children—or one fun-loving adult. The article goes on to explain that the train hasn’t been touched since it was purchased and as the owner has health problems, “he wants to exhibit the rest of his collection in a museum” funded by the sale of this and other Jackson memorabilia from his collection. A photograph of the engine, tracks and carriages provided by GWS Auctions clearly shows that this toy train set and its mere 40 feet of track is neither of the Neverland trains known and seen in numerous photographs taken at the ranch when Michael lived there. Let’s look at another recent example that caused confusion amongst the fans and other readers. An article by Gary Trock on The Blast website first reported that “Michael Jackson‘s famed Neverland Ranch will be getting new life breathed into it, because the late singer’s estate may dedicate a whole museum to the King of Pop and pay homage to his treasured home, but they’re looking for a change in venue.” The name “Neverland Ranch” has been registered by Triumph International, the company that handles intellectual property for the Estate, Trock explained. The idea for a museum has been discussed for quite some time and the Estate needed to begin the process of securing a name as they move forward. When picked up by other sources and repeated with selective edits and added speculation, the story neglected to clarify that the museum would not be located at the actual ranch. So, we had headlines that shouted variations on, “Michael Jackson’s Neverland Ranch to be a Museum”, giving many fans false hope that their dreams for the property had come true. We cannot blame fans, or the public, for being confused when it comes to matters relating to Michael Jackson. Granted, we are talking about reasonably innocuous matters here. However, such things can understandably cause concern amongst the fans – as when a pair of Michael’s loafers, from a private collection, were put up for an auction to take place in May 2018. Facts appear to be inconsequential to some media in the quest to grab our attention and gain web clicks. This type of “news” is mere click bait, and has nothing at all to do with responsible journalism. That’s really what it comes down to – caring about the truth. That’s equally relevant for all of us who research and write on the lives of others, whether in blogs or academic papers. As Michael Jackson fans, I believe we owe it to him to go the extra mile to extract the bare facts from supposition, eschew sensationalism for accuracy and own up to our opinions when stating a case for our hypotheses. It’s the very least we can do for his legacy. GWS Auctions, LLC online catalogue https://connect.invaluable.com/gwsauctionsllc/auction-lot/Michael-Jackson-s-Personally-Owned-Motown-25-Fl_E61450EBD1/accessed 23 April 2018. Jackson, Michael Moonwalk1988, reissued by Harmony Books, New York 2009, p. 256. In fact, Michael talks about the ‘moonwalk’ being a surprise in his autobography “Moonwalk” pp 210-212 of the Arrow Books paperback edition 2010.